While tinting your automobile’s windows will improve its appearance, window tinting serves a variety of other purposes as well. It serves to provide comfort to the driver, particularly in warmer climates in the USA, as well as for drivers who may spend a lot of time on the road. There’s simply no way to put up drapes or blinds in the window of a vehicle. This is why window tinting may be the best way to provide protection from the sun’s harmful UV rays. Window tinting has come a long ways over the years. It’s more than just for looks. 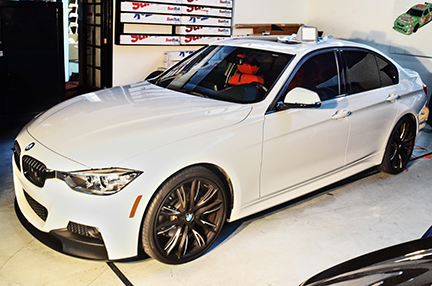 Modern day window tinting products utilize special heat-rejection and UV-filtering technology. Gone are the days when window tints are shiny and metallized, unless of course that’s the look you’re aiming for. Window films can screen out UV rays up to an SPF factor of 1000. Many states have laws on how dark your window tint can be. The concern is visibility for the driver. Fortunately, there are window tint films available in a variety of tints. There are even ones that appear to be clear, yet still provide sun protection. These products are recommended by the Skin Cancer Foundation. Window film may also repel the heat of the sun. This doesn’t even have to be with the darkest of window films, it can also be clear. The film repels the heat of the sun, not only keeping the interior of the car cool, but keeping the driver cool as well. There is the additional benefit of using less energy to run the air conditioning unit too. The interior of the car will also be saved from having faded upholstery, leather, or vinyl, and will look newer for longer. Drivers who are looking to increase driver comfort will find this product one of the more desirable ones, especially those who spend several hours a day driving for their job. These types of window films have come a long way over the years. In the past, this type of film would gradually turn purple over time, requiring it to be replaced. But today’s quality window films no longer have this issue. Many window tints are designed to maintain your car’s original appearance. They can still let a large amount of light into the vehicle, yet still protect driver and interior, and maintain road safety standards. Non-metallized window film does not interfere with signals, so you can still use your cell phone in your vehicle. Other types of window film may be designed to reduce glare, particularly in cities that experience a greater portion of sunlight during the day. Some types of film may be in specific colors to add to the look of your car. They can also provide some protection to the interior of the vehicle, particularly in bigger cities where safety may be an issue. No matter what your reason for installing window film on your vehicle’s windows, you’ll find that the modern day window films are designed to last longer, and provide greater comfort on the road.